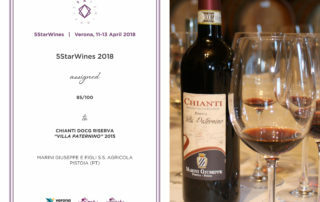 The rewards continue with the "Villa Paternino" Chianti DOCG Riserva 2015 which obtained 85/100 in the 5StarWines 2018 competition (Vinitaly International Wine Competition). 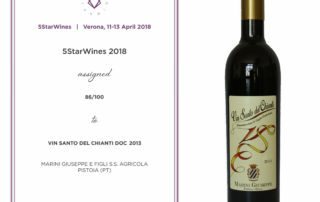 This result makes us particularly proud and happy, for the commitment we have made, to this Wine dedicated to Nonno Roberto, who gave origin to our farm. 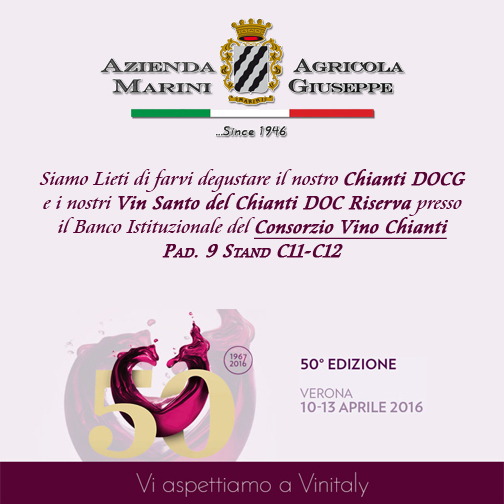 With satisfaction, we inform you that our Vin Santo del Chianti DOC 2013 (which is still in bottle refinement until November 2018 before being sold) has obtained 86/100 at 5StarWines 2018 (Vinitaly International Wine Competition). 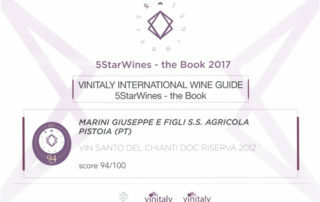 This result encourages us to pursue more and more passionately in our work. 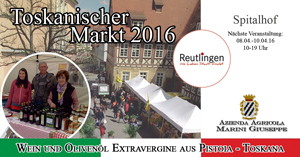 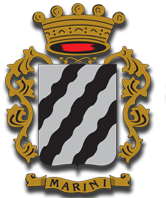 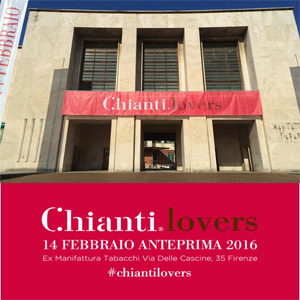 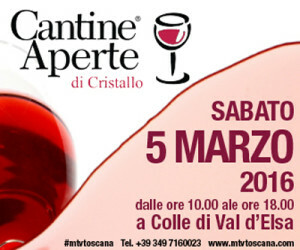 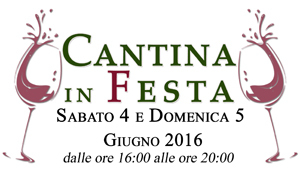 Saturday 4 and Sunday, June 5, 2016 Cantina in Festa Tour the vineyards and wineries, wine tasting, exhibition of works of art and entertainment for young and old. 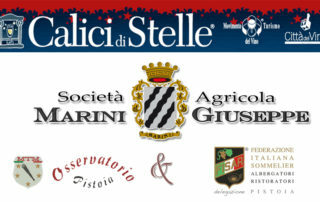 Please click here to view the full program and ..... We wait !!!! 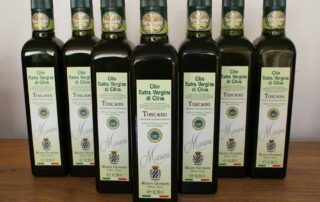 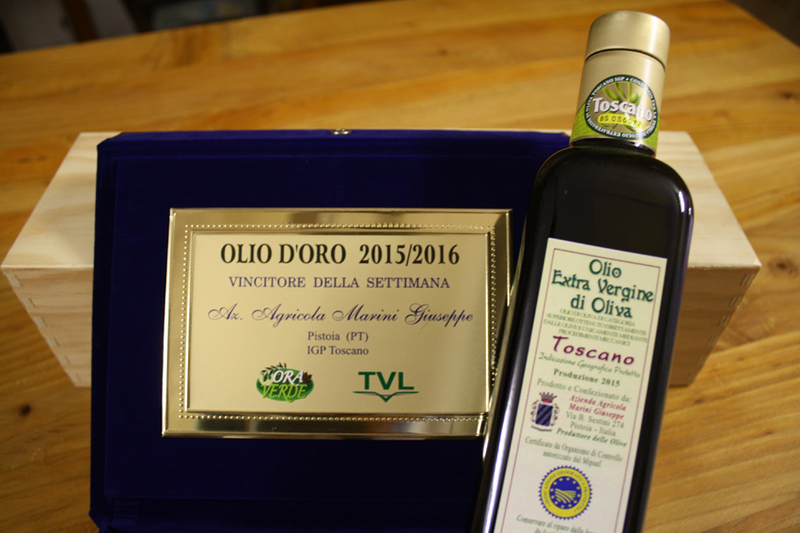 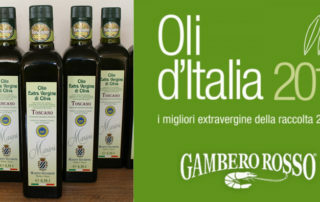 Our Extra Virgin Olive Oil Toscano IGP 2015 has obtained the weekly prize at the "Olio d'Oro 2015-2016" promoted by TVL Pistoia. 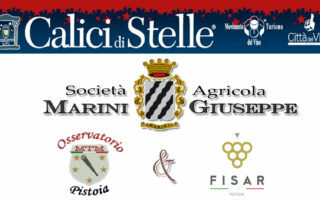 L'Azienda Agricola Marini Giuseppe vi aspetta il prossimo 9 Gennaio 2016 alle ore 15:00 per la tredicesima edizione di Vin Santo è! 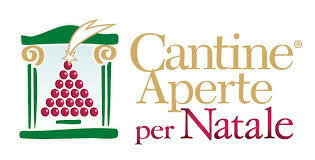 Degustazione di Vin Santo all'apertura dei Caratelli.